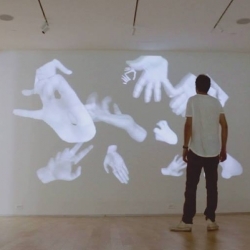 Gesture-Gesture explores the visual language created with our hands. An interactive installation by Pablo Gnecco at Gallery 72 in Atlanta. On view through July 3.